Ron Frawley became the Senior Director of Strategic Planning and Corporate Development at Magna Powertrain in October 2014. As Senior Director, Mr. Frawley leads Magna Powertrain’s long-term strategic planning activities. He drives strategic projects and initiatives to identify, evaluate and prioritize new products, markets and potential partners. Mr. Frawley has more than 30 years of experience in the automotive industry and has spent his entire career within the powertrain sector. He has held numerous product engineering roles, giving him a thorough understanding and broad depth of knowledge of powertrain systems. He is also experienced in studying and analyzing market development opportunities, competitors, customers and market conditions within the automotive industry. 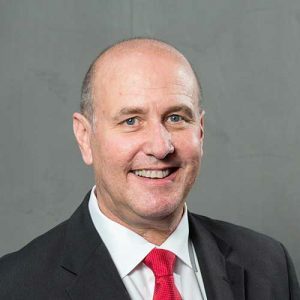 In 1982 Mr. Frawley began his career as a Product Engineer with Allison Transmission and in 1990 joined New Venture Gear in Product Engineering Management. Magna Powertrain appointed him as Director of Product Engineering in 2004, and he has held several management level positions within Magna Powertrain since then. Mr. Frawley received his bachelor’s degree in Mechanical Engineering from Lawrence Technological Institute in Southfield, Michigan.